Not all bike racks are created equal. Bike Cleveland can help you find the right bike parking for your space – whether outdoors or in dedicated indoor rooms. Buy your bike rack from us! We are more than avid cyclists at Bike Cleveland, it is our mission to build livable communities by promoting all forms of cycling and advocating for the rights and equality of the cycling community. We know the challenges and frustrations people face when trying to find secure bike parking because we hear about it all the time. We make recommendations that cyclists appreciate. Space limitations, user demands, surface types, security needs, concerns about appearance, and budgets all play a factor in selecting the right bike parking. Staff at Bike Cleveland has over 5 years of experience advocating for better bicycling across our region. Plus, all bike parking sales benefit Bike Cleveland’s bike advocacy efforts! Bike Cleveland will help you navigate your city’s bike parking standards and permits, recommend quality bike racks to best meet your needs, and offer free site-visits to make sure it’s done right. Bike Cleveland has teamed up with Dero Bike Racks in this effort. 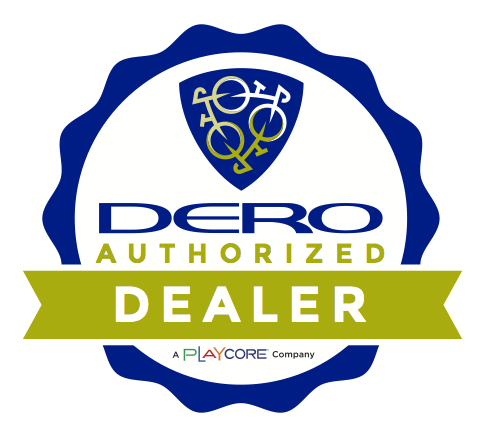 Dero has been supplying innovative, high quality, thoughtfully designed bike parking and bicycle transit solutions to architects, contractors, municipalities, higher education, and parks and rec since 1995. Together we offer exceptional customer service, quick turn-around for quotes and invoices, and free CAD layouts. Below are some popular choices to help get you started. Dero offers a wide range of styles and finishes, including custom racks to meet your budget and taste. If you need more information or are ready to place an order contact Jason Kuhn at jason@bikecleveland.org to learn more. 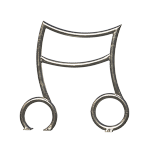 The Hoop Rack is a proven design that provides high security and easy bike parking. 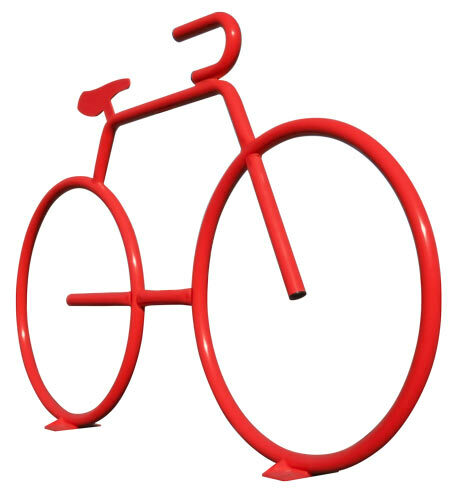 The Hoop Rack uses thick pipe construction and the full radius of the bend makes the Hoop an attractive and functional bike rack. There’s a Heavy Duty version too for added security. The Hoop Rack supports the bicycle at two points and allows for the wheel and frame to be secured using a u-style bike lock. Each Hoop Rack parks two bikes. Like the Hoop Rack, the Swerve Rack is a simple and elegant solution for easy bike parking. The Swerve Rack uses the same thick pipe construction as the Hoop Rack and is a popular choice with a slight twist on a classic design. The Bike Hitch is an attractive and space efficient bike rack. The Bike Hitch was specifically designed for sidewalks and other narrow space applications. The design of this bicycle rack restricts bikes to parking parallel with the rack, so bikes won’t intrude into the sidewalk or street. The Bike Hitch uses thick tube construction and the full radius bend of the ring makes it almost impossible to cut with a pipe cutter. It allows for the wheels and the frame to be secured using a u-style bike lock. The Ultra Space Saver provides easy and ample space for u-lock security on nearly any bike, including bikes with fenders. Thanks to design enhancements, the double-sided Ultra Space Saver parks more than double the capacity of a standard bike rack. The Ultra Space Saver is an easy to install, modular system. It can be made to fit in nearly any space. Options include: wall-mount, floor- mount, and double-sided. It’s the perfect solution for a new bike room. 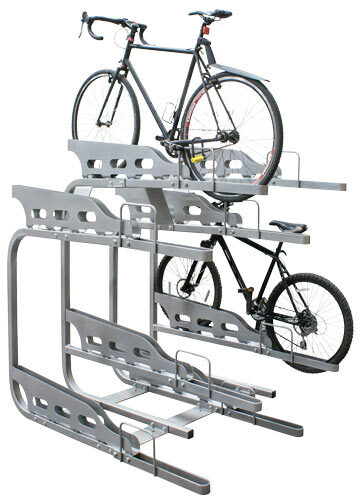 The Dero Duplex doubles the capacity of your bike parking area with secure, efficient, and orderly storage. Its staggered design means that bikes enter and exit easily without entanglement. Sturdy trays with high sides keep bikes from slipping off while loading or unloading and also make the Duplex compatible with most standard u-locks.